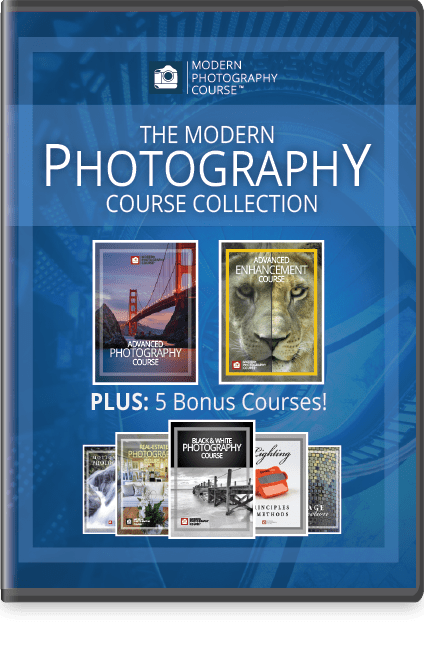 The Modern Photography Course Collection is a comprehensive course that guides you through the complexities of taking photographs in the digital age. 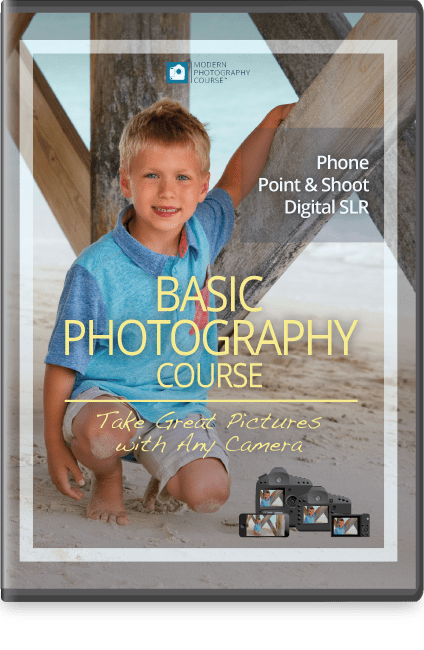 We teach you how to use your camera's features and gain control of how your pictures look. We give you a deep understanding of proper composition. And we go further than any other course and teach you the professional secrets to enhancement to take your pictures from good to great. Our course will help you develop your artistic eye, use your camera features to spark your creativity, and enhance your pictures like a pro. Our course is made up of 11 modules of course materials. Each module consists of video lessons that that are available 24 hours per day, 7 days a week. 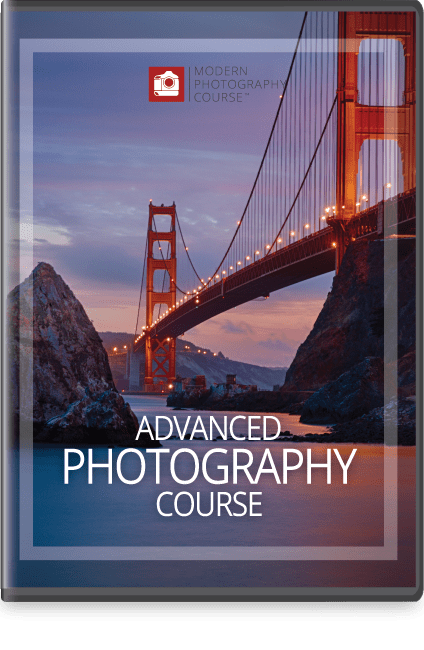 Our lessons systematically teach you principles, camera features and software techniques so you can take great pictures. Our refund policy gives you up to 30 days to review the course with no risk. In that time, if - for any reason - you feel the course is not right for you, simply contact us and we will refund every cent. No questions. No hassles. In this module we introduce you to composition: how the human brain perceives beauty, why good composition is important, and how to compose pictures using the most commonly used composition method. We explore every aspect of composition to develop a foundation for the remainder of the course. In this module we take you beyond basic composition methods. We explore the Rule-of-Fifths, diagonal composition and circular composition; to help you make the most of every subject. We also teach you how to take pictures where more than one subject type is present in the shot. One of the biggest differences between pictures taken by a pro and those taken by others is the professional's ability to create a sense of depth to their pictures. In this module we teach you how use visual cues to make your pictures look 3-dimensional. In our final module on composition, we spark your creativity with a series of lessons designed to give you different ideas on how to approach your picture taking; ideas that will give your pictures a sense of mystery, intrigue and create interest for your audience. 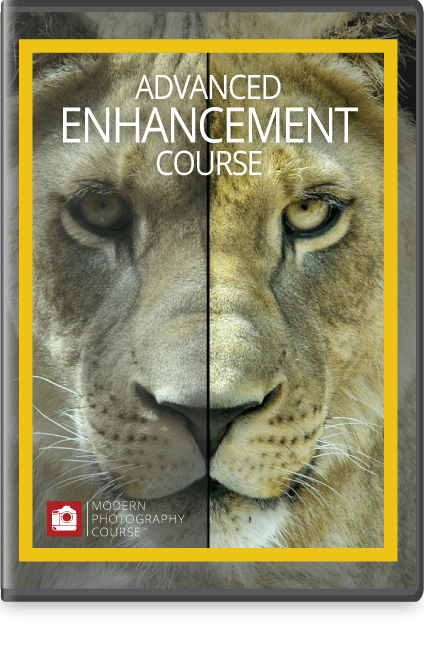 This module is for serious photographers, so why is it Module 5 and not Module 11? If you are serious about the quality of your pictures, you'll need to "correct" your images before you enhance them. In order to reinforce this, we have put these lessons before the Enhancement modules. In addition, we introduce you to Panoramic Stitching and High Dynamic Range (HDR) photography; along with the camera features designed to help you with these techniques. Lesson 12: What is Color Shift? Every professional photographer adjusts their pictures after they are taken. But the first adjustments most people reach for (including professionals) can truly ruin your pictures. 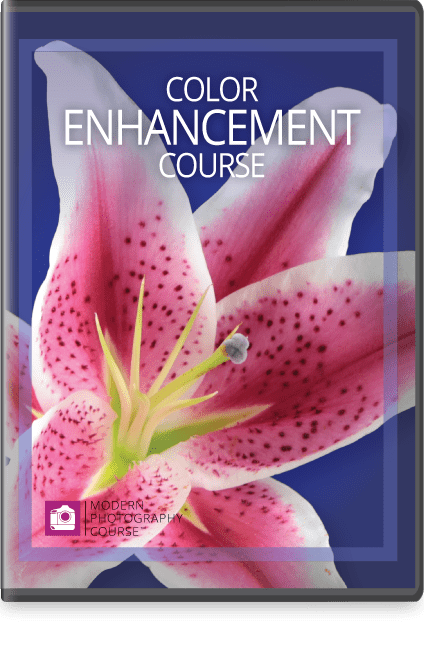 In this module we teach you several ways to enhance your pictures properly, the adjustments that are designed to work together, and foolproof ways to make your pictures jump off the screen. Professionals go a step further than others when enhancing our pictures. 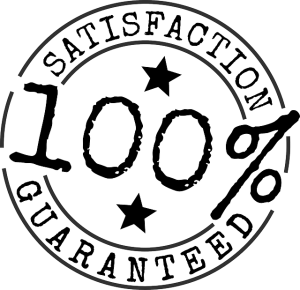 We perform small, localized enhancements to draw attention to specific parts of the image (or hide distractions). In this module, you will learn the techniques pros use to glue the viewer's eyes to the subject of ​the picture. Whether you are taking pictures outside with natural light, shooting portraits in a studio or taking product shots for your website; the lighting principles are the same. Black & White Photography is completely different than color photography; from the lighting, to the subjects you choose, to the way you enhance your pictures. 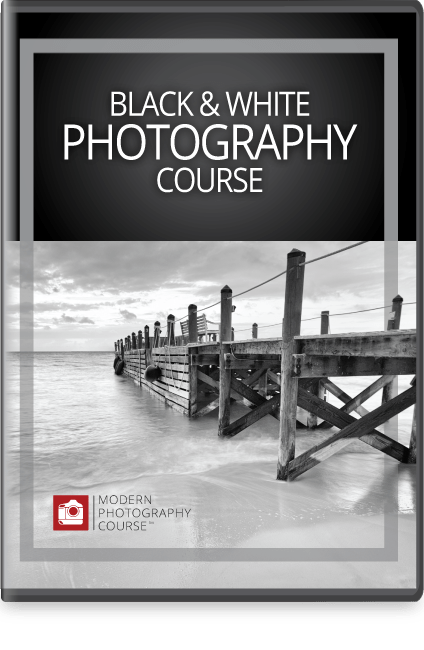 In this specialty module, you will learn how to view the world in black and white, what makes makes a good black and white picture, and the techniques you need to capture and enhance your pictures, so you can get that timeless look. 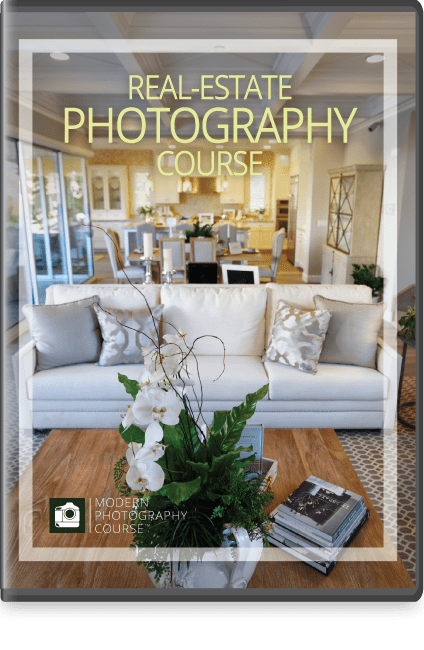 In this second specialty module (intended for Real-Estate professionals), you'll learn how, with even a point-and-shoot camera, you can take pictures of real-estate that will truly sell. From the setup all the way to enhancement, you'll learn how to set your listing apart from the crowd. In our third specialty module, you'll learn how to take pictures of moving subjects without a $20,000 lens. You'll learn techniques that will capture moving subjects in ways that celebrate motion. The techniques may take a bit of practice, but their are worth learning if you have children in sports or if you like streams and waterfalls. Learn the key factors that affect all pictures and how to make your pictures appealing. Learn to create a sense of depth and make your pictures interesting. Learn how to draw attention to specific features in your photos. Create timeless black and white photos with modern digital processing. Learning how to take interior and exterior images that sell.